Harish Chandra Singh Rawat is an Indian political leader belonging to the longest ruling party in India, the Indian National Congress. He served as the chief minister of Uttarakhand from 2012 to 2017. In the assembly elections of 2017 he was defeated by the BJP and even lost his own seat. He has been a five time Member of Parliament. He has been elected four times to the Lok Sabha (Lower House) and once to the Rajya Sabha (Upper House). Harish Rawat was born on 27 April, 1948 in Mohanari village near Chaunalia in Almora district which was then a part of the United Province. It eventually became part of Uttar Pradesh and then the Uttarakhand state in 2000. Harish Rawat was born to a Rajput family. His father was Rajendra Singh Rawat and his mother Devaki Devi. Rawat obtained his degrees in Bachelor of Arts and Bachelor of Law from Lucknow University, in the capital of Uttar Pradesh. He is married to his fellow Congress member and politician Renuka Rawat who also obtained Bachelor of Law from Lucknow University. Harish Rawat started his political career by joining politics at the village level and held key positions such as the Block Pramukh and the Gram Pradhan. He was inclined towards the ideologies of the Indian National Congress right from the outset and was a member of the Youth Congress and a Trade Union leader for several years. He eventually joined the ranks of the Indian National Congress (INC). In 1980, Rawat was elected to the Indian Parliament for the very first time when he defeated veteran BJP leader Murli Manohar Joshi from the Almora Lok Sabha (parliamentary) constituency, which then belonged to the state of Uttar Pradesh. He became a member of the Seventh Lok Sabha when Indira Gandhi returned to power. Harish Rawat was elected to the Indian Parliament thrice in a row as he repeated his electoral success to be elected to the Eighth and the Ninth Lok Sabha in 1984 and 1989 respectively. Thereafter, he held a number of different positions such as Member of the Consultative Committee of Law and Company Affairs, Member of the Public Account Committee, Member of the House Committee, Member of the Official Language Committee and Member of the Communications and Power within the Congress ranks. He also held the post of the Chief of Congress Seva Dal and the volunteer wing of the party. 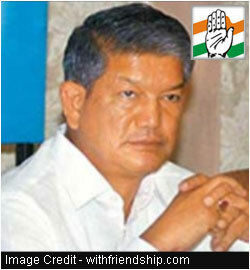 Harish Rawat was elected to the Upper House of the Indian Parliament, the Rajya Sabha, for the first time in 2002. He served a full term of six years until 2008. In 2003, Harish Rawat became the Member of the Standing Committee of Rural and Urban Development. The same year, he became the Member of the Consultative Committee to the Ministry of Power. Rawat remained the Member of the Indian Council of Agricultural Research Society from July 2004 to November 2008. He was elected to the Indian Parliament for a fifth time and the Lok Sabha (Lower House) for a fourth time in 2009 when the Congress-led UPA retained power in the Centre. He contested the Hardwar Lok Sabha seat in the General Elections of 2009 and won it with a total of 3,32,055 votes defeating his nearest rival Swami Yatindranand Giri by a margin of 1,27,539 votes. Harish Rawat could not contest his native and stronghold seat of Almora because it became reserved after the recommendations of the Delimitation Commission of India were implemented in 2008. Harish Rawat finally got a Union Ministerial portfolio in October 2012 when he was appointed as the Union Minister of Water Resources in the cabinet of Dr. Manmohan Singh. He served this post until 31 January 2014 and was sworn-in as the seventh Chief Minister of the state of Uttarakhand the next day as his predecessor Vijay Bahuguna stepped down citing his failure to properly handle the matters during the Uttarakhand floods in June 2013. Harish Rawat won a seat in the Uttarakhand state legislative assembly after he won the 2014 by-elections from the Dharchula seat. In 2016, the BJP-led central government made a failed attempt at dislodging the Harish Rawat government in Uttarakhand by citing constitutional breakdown in the state. The Supreme Court held that the imposition of President's rule in Uttarakhand was invalid and paved the way for restoration of Rawat's government in the state. Served as Block Pramukh and Gram Pradhan in his village early in his career. Served as the District President of the Youth Congress. Since 1980, he has been a member of the All India Congress Committee. Elected to the Seventh Lok Sabha (1980-1984). Elected to the Eighth Lok Sabha (1984-1989). Elected to the Ninth Lok Sabha (1989-1991). Held several posts such as the Member of the Communications and Power of Lok Sabha, Member of the Consultative Committee of Law and Company Affairs, Member of the Public Account Committee and Member of the House Committee of Lok Sabha. Was the member of the Rajya Sabha from 2002 to 2008. Was the Member of the Standing Committee on Agriculture and Food Processing from July 2004 to November 2008. Was the Member of the Committee on the Members of the Parliament Local Area Development Scheme (Rajya Sabha) from September 2004 to November 2008. Elected to the Fifteenth Lok Sabha (2009-2014). 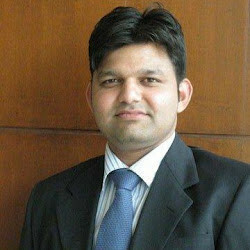 Was the State Minister for Labour and Employment for Government of India between 2009 and 2011. Was the State Minister for Agriculture, Food Processing Industries and Parliament Affairs, Govt. of India, from 2011 to 2012.